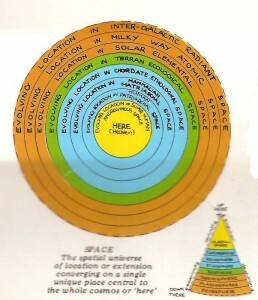 A new explanation of the workings of the universe. (not just astrophysics). Reading scientific and philosophical papers on Process Theory can be very confusing. This simplified diagrammatic representation should be very useful in explaining the processes which are assumed in the hierarchy of levels in this cosmology. 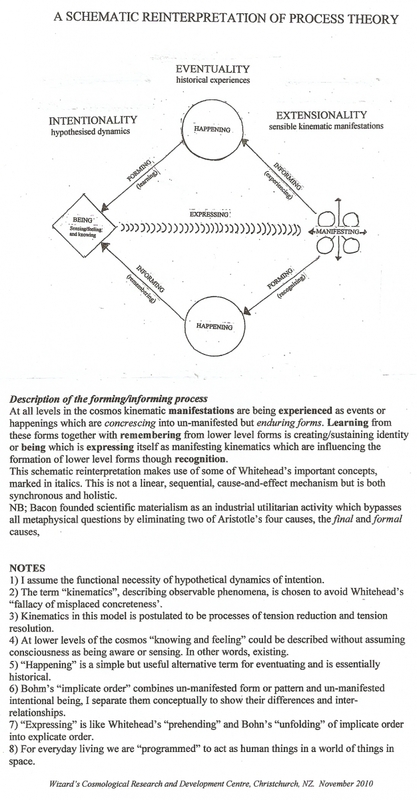 A general introduction to the new cosmology which combines a ‘process’ approach with dynamic fields of ‘involving’ intention and ‘self-organisation’ of the evolving phenomenon. 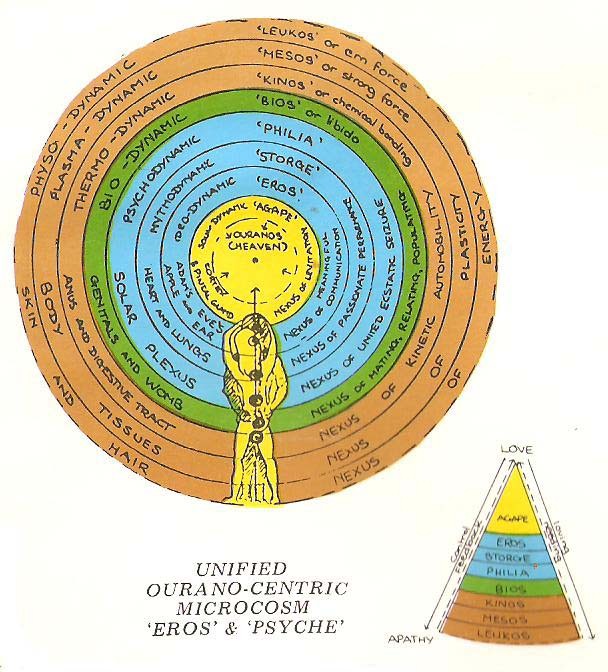 There are some similarities with the ideas of A.N.Whitehead, Tiehard de Chardin, Rupert Shelldrake and Prigogine/Jantsch. This is the synthetic diagram which came into my head in 1968 and led to the creation of the cosmology. 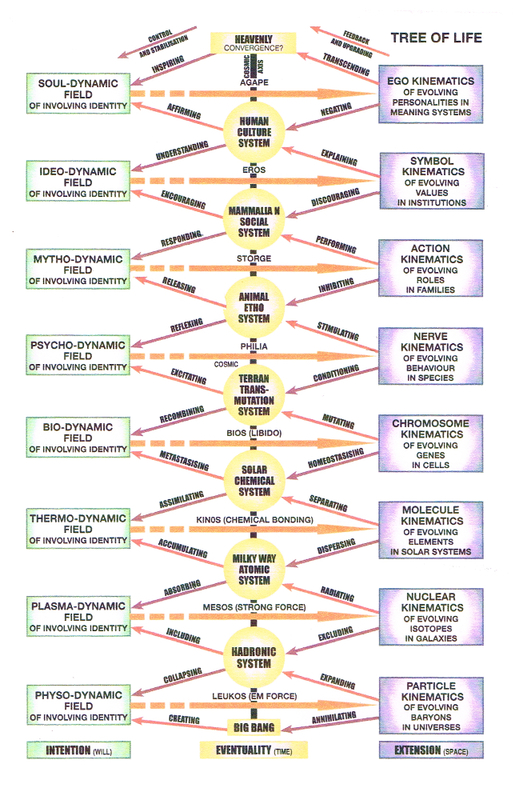 Showing the overall interrelationships between dynamics, kinematics and their interaction as eventuality or process. 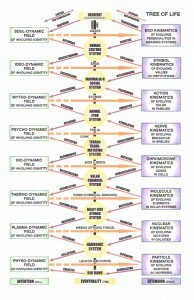 A systems model. 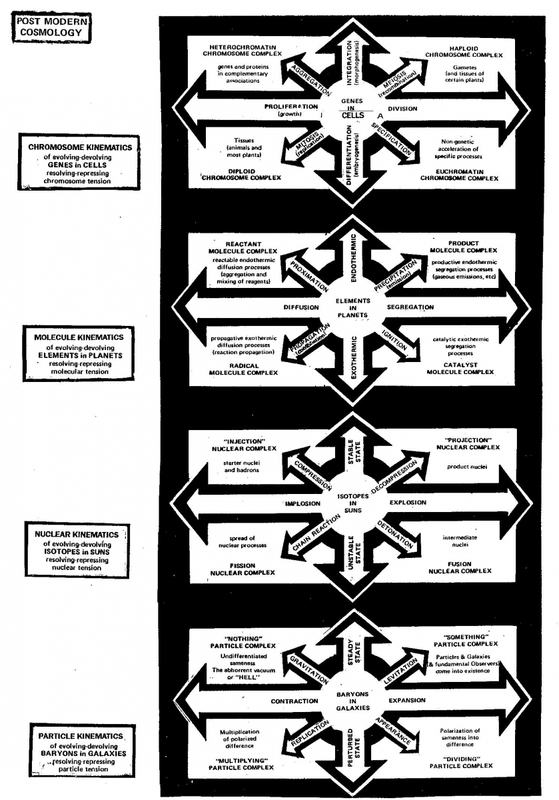 The hierarchy (holarchy) of evolving self-organising phenomena and the operation of tension resolution or reduction. 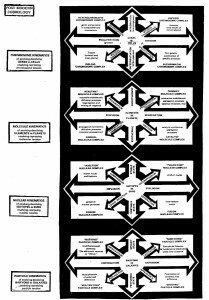 An alternative diagrammatic way of showing the processes of election and selection making up evolution. An early article by Dr Derek Banks who, in the 1970s assisted The Wizard in providing a physical base for the unified cosmology. 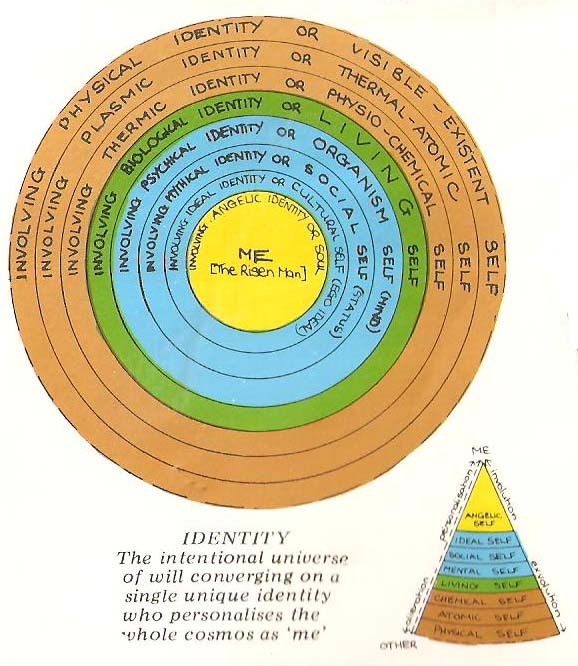 Involving identity from ‘nothing’ (or nobody), to ‘me’ representing the personalisation of the universe achieved should The Wizard be successful in attracting world wide attention in the media for his internet experiment. 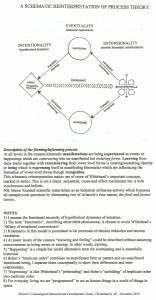 Events from the Big Bang or ‘never’ (impossible) to ‘now’ (inevitable) the time of the proposed internet virtual reality experiment by The Wizard as Living Work of Art. From ‘nowhere’ (location of the Big Bang) to ‘here’, the location of the virtual reality internet experiment. 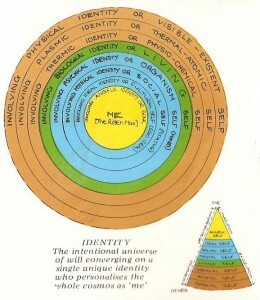 Aspiring to transcend historical reality the shaman attempts to ascend by bringing identity space and time into convergence as “Me Here Now”.